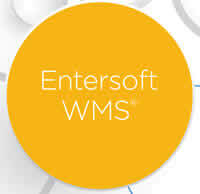 Entersoft WMS®, part of the Entersoft Business Suite of products, is a modern, state-of-the-art software solution. Perle’s Stand-alone Managed Media Converters (Managed or Unmanaged) bridge the gap between copper and fiber infrastructures. Designed to be used in low to mid-density applications where a limited number of Ethernet to fiber converters need to be quickly implemented. Perle Stand-alone Managed Media Converters support all authentication, authorization and accounting (AAA) security services used in corporate networks, including TACACS+, RADIUS, LDAP, Kerberos, NIS and RSA. To further protect ID’s and passwords from someone ‘snooping’ on the network, Perle Managed Media Converters provide secure management sessions by supporting SSH, SNMPv3, Telnet and HTTPS. And, advanced features enable users to optimize network traffic and resource allocation. When you sign up for a specific newsletter, we (Data Communication Systems) add your email address to a corresponding mailing list. While it is there, we know that we can contact you by email regarding that topic. Send an email to sales@dcscom.net. If you decide that you no longer want to use our store and would like to have your personal data removed from our database (or if you’d like to get all the personal data associated with your account that we have), please send an email to sales@dcscom.net. Copyright © 2003-2018 Data Communication Systems. All rights Reserved.